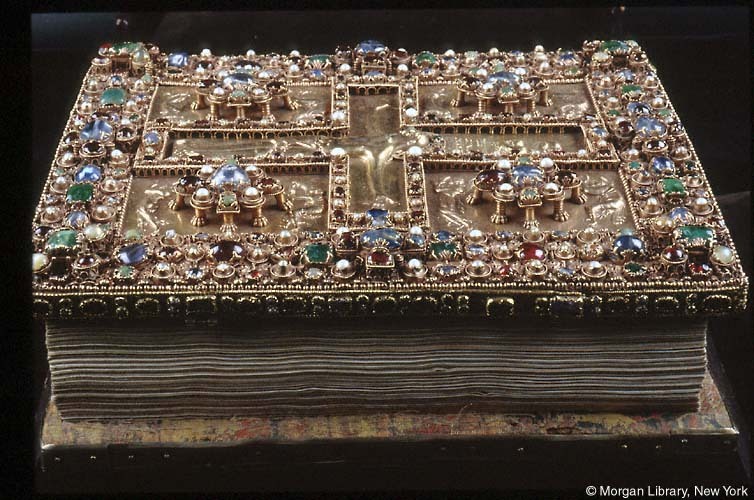 But just as some people today add chrome to their cars or gems to their watches or phone cases, some medieval people chose to add ‘bling’ to their books. 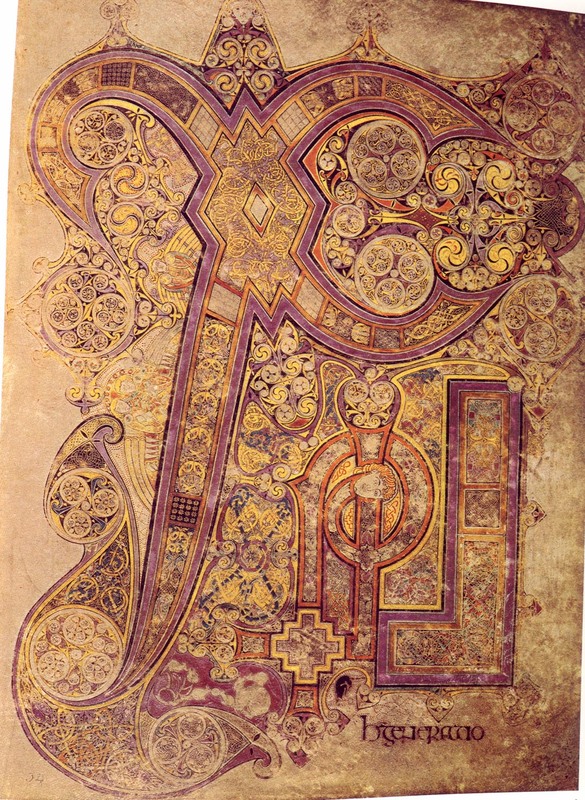 Take for example the following Gospel book known as the Codex Aureus or ‘Golden Book’. 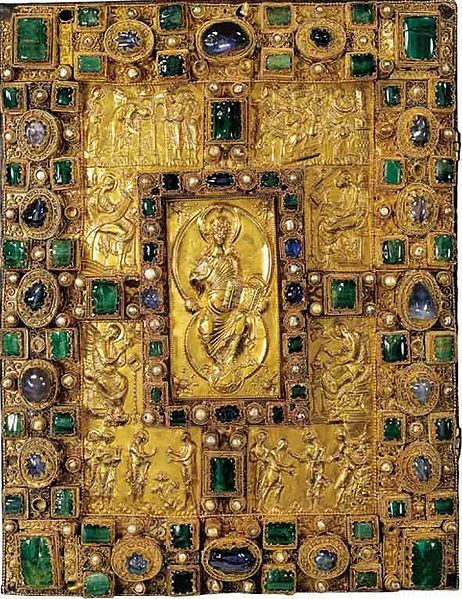 Made in the 9th century for the Holy Roman Emperor Charles II, the cover of the book is covered with gold, gems, sapphires, emeralds, and pearls. These extremely luxurious book covers are often referred to as ‘treasure bindings’ (for obvious reasons)! Because these books were extremely valuable, they were naturally a target for thieves. As a result, only a handful of ‘intact’ examples survive today. It’s possible to see a few ‘missing gems’ in the following book, where someone has carefully plucked out the precious stones (providing a little window to the wooden binding below). 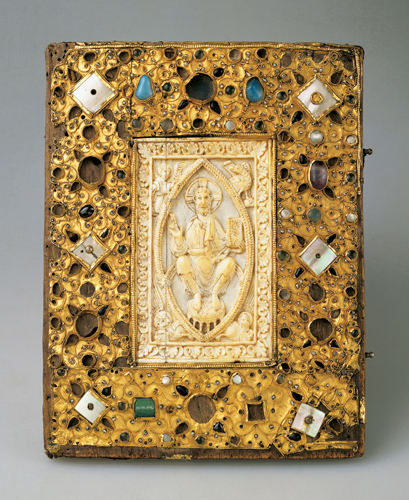 It is interesting that many of the most lavishly decorated books from the Middle Ages were Gospel books. Not only were the Gospels revered as sacred and significant holy texts, but these books were also often put on display on the altar of the church (for use in church services or ceremonies), as well as being read privately. They presented an opportunity to show off the wealth and prestige of a church, lord, or local community. The attention to artistic detail is really stunning. 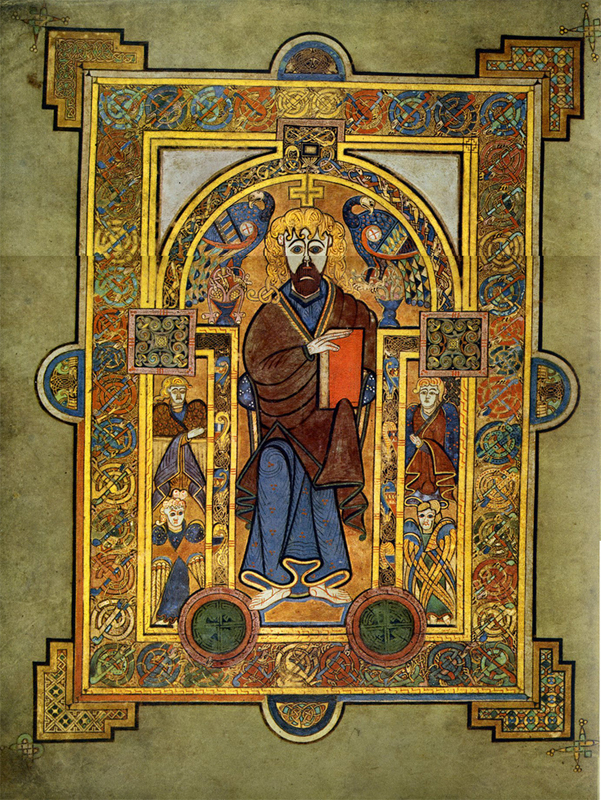 If you take a closer look at the figure of Christ in the image below (centre), you can see how the illuminator has carefully intertwined the locks of hair, echoing the celtic motifs seen in the border of the image. Even ‘normal’ books were expensive to produce in the Middle Ages. By adding jewels and rubies to the cover of a book, you could send a pretty clear message that you were wealthy enough to afford such an expenditure. 2. To show how much you loved the text. Books, especially religious books, were seen as important carriers of spiritual texts—essentially vehicles of the Word of God. Some chose to honour the significance of the texts by adorning them with beautiful artwork. 3. To give a really nice gift to someone really important. Many of these books were made as gifts to honour important people or important events. 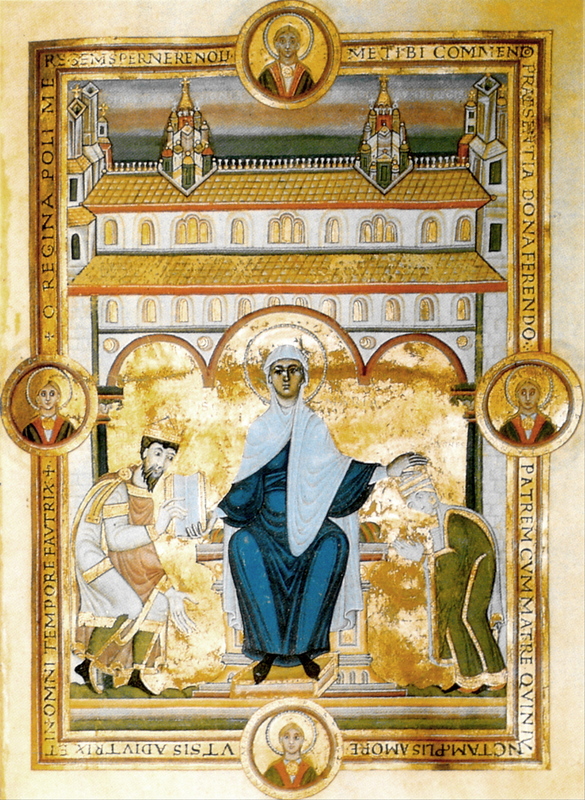 The Golden Gospels of Henry III, for example, were made under the patronage of the Holy Roman Emperor Henry III in the 11th century to be donated to Speyer Cathedral to mark the dedication of a new altar. For more images of treasure bindings and medieval manuscript ‘bling’, be sure to check out the website of our friends at Sexycodicology.net—especially their pinterest page where you can see lots more examples! This entry was posted in Jenny Weston, Project News and tagged Art History, Codicology, Manuscript, Medieval Bindings, Medieval Illumination. Bookmark the permalink.